Deep meditation, extra-sensory perception (out of body, remote viewing) and certain states of creativity, have been characterized by something called brain synchronization, it occurs when the two hemispheres of the brain resonate to a similar electrical signal. Obtaining brain synchronization can occurs, when you listen to shamanic drumming, spacey or psychedelic sounds, even in silence and meditation you can obtain the effect. However, those way may requires a certain time of learning, nowadays, technology make it possible to use brainwave entrainment CD that make the process a lot of faster and easier. One of the most popular techniques used today to obtain synchronized brain hemispheres is the use of binaural beats. A binaural beat is a perceived sensation caused when 2 tones of nearly similar frequencies (less than 1500 Hz) are presented to each ear, the difference between the 2 will be an electrical signal. This electrical signal set up a frequency following response (FFR) that cause the brain hemispheres to resonate at a chosen frequency. Example : When we sleep the brain produce brainwaves ranging from 0.5 and 3 Hz (hertz = cycle per second), if you want to put someone asleep using binaural beats technology, you can with headphone you have to present to one ear a tone of 220 Hz and present a tone of 223 Hz to the other ear, the whole brain will generate a signal of 3 Hz, conducive to deep sleep. An important element in the use of binaural beats technology, it’s the use of right carrier frequencies (the frequencies that carry the information in the case of the above example 220 Hz and 223 Hz), some searchers experiment with low and high carrier frequencies. Below is an example of carrier frequencies used on one of the popular binaural beat CD on the market. between the two carriers, so a 144.6Hz centre frequency plus a 10Hz beat means 139.6Hz and 149.6Hz on the two channels. 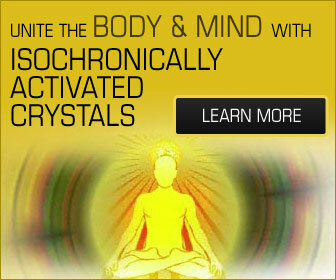 Some subjects will resist the use of such technology, its due to a homeostasis (resistance to change), the use affirmations, breathing techniques, autogenic training, mantra chanting will usually ease the process of integration. Synchronized brain hemispheres have been proved useful in a large number of applications such as concentration, creativity, meditation, relaxation, stress reduction, pain management, sleep improvement and psychiatric applications.